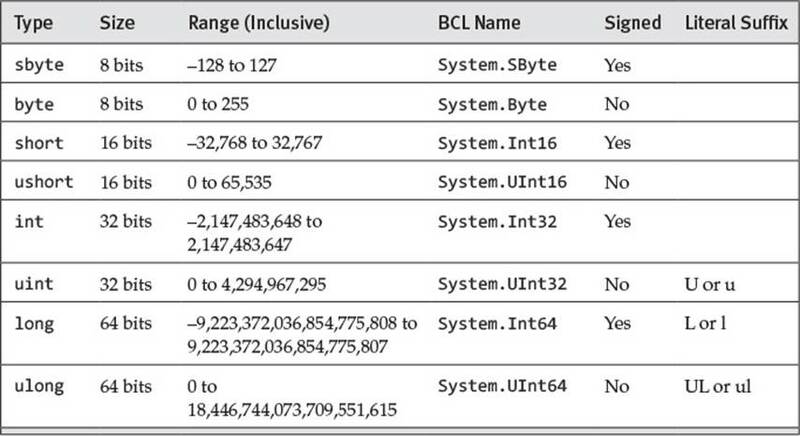 Learn: C# programming data types: how many types of data types available in C#? Which are the data types are in Value Types category and which are in Reference Types? A variable of value types directly contains only an object with the value. A variable of reference type directly contains a reference to an object. Another variable may contain a reference to the same object. We can define our own value types by declaring enumerations or structures. The data types which are predefined in the C# compiler, these are also referred to as Basic Data Type of C#. The value range (minimum and maximum values) and size of these data types are predefined; anyone can not modify the range and size of these data types. Example of Value Types is: int A = 50; here variable A hold value 50 that can be used in program. We can define new reference types class, interface, and delegate declarations. Here \n is used for print new line and \" is used to print double quote on console screen.